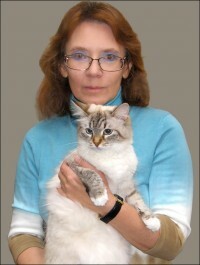 We are glad to welcome you to the cattery Siberian / Neva-Masquerade cats «SARIOLA». Here you can learn about this wonderful breed, learn about the cattery, get acquainted with a variety of colors, look at photos of our pets. 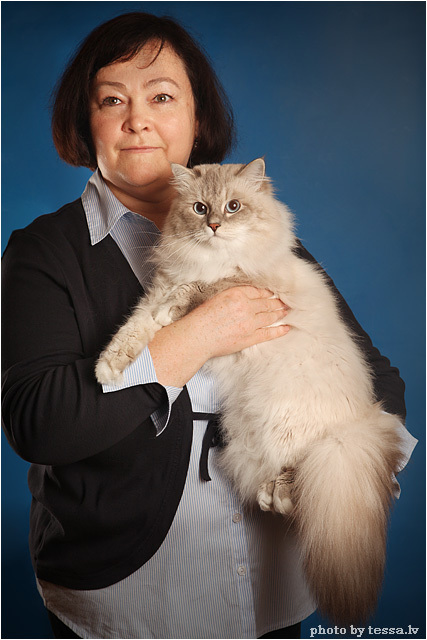 Since 2008, cattery "SARIOLA" has become a collective. 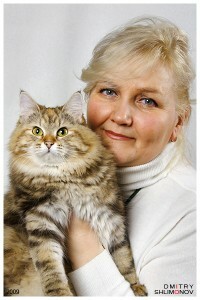 And we are very glad to find like-minded, true connoisseurs of the beauty of the Siberian cats. Our nursery is very young, is a member of the club «CAT's MEOW» cities of Riga and is the registration of an international system of WCF (World Cat Federation). All breeding animals of our nursery does not carry genetic diseases. Our cats are regularly reaffirm their money at the shows, the estimates can be found in the personal sections of each animal's "career". Our animals live in separate houses, which guarantees excellent care for cats and kittens. Our cats - they are members of the family, they are not locked in separate rooms and even more so do not sit in cages. All kittens are born we have a very healthy, vaccinated against viral diseases, are sold with contract. We do not send mail kittens, all holders come to themselves or agree with my friends and acquaintances about the delivery. We love our animals. The purpose of the cattery is not commerce, but only love and a desire to engage in the most beloved and beautiful breed of cat, get healthy, the most relevant standard of animal breeds, as well as find the best hosts for our kittens! Conditions that are imperative to ensure that pet does not become a problem. 5. In your apartment is a place for the animal. These little crumbs, our smaller brethren, stand so that they acquire. They bring up your child such important qualities as respect for all living beings, attention to a close, caress. Remember! We are responsible for those who tamed!